I'm back to share the second LO that I created using CTMH's Swan Lake paper line. If you recall, I used the paper line to document a trip to VT with my daughters. I used the paper line again to document a day-trip to Boston's Public Garden. Boston's Public Garden is home to the famous Swan Boats! 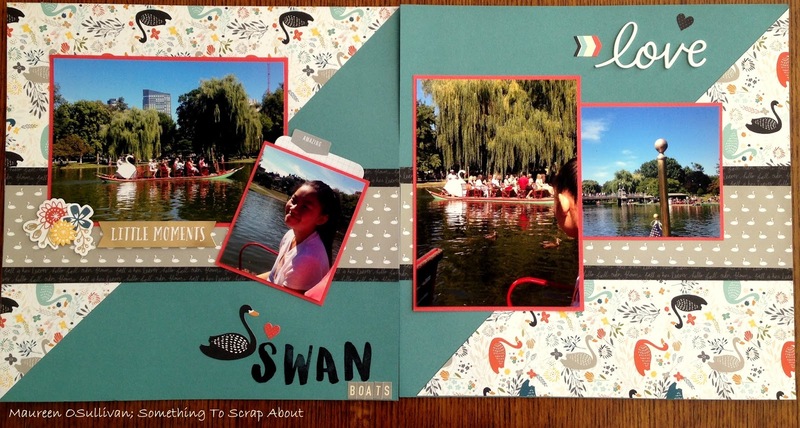 Growing up in Boston, the Swan Boats were something we visited each spring. I thought each city had its own fleet of these beautiful boats. It wasn't until I was older that I realized swan boats were unique to Boston. 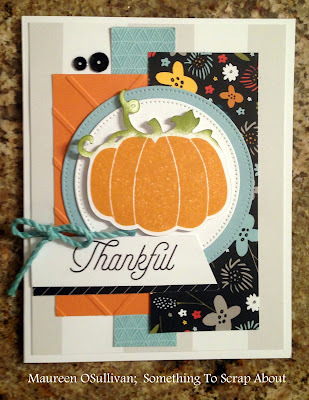 The first LO was inspired from the Holiday Expressions Catalog. I just took the 1 page design and made it 2 pages. Easy peasy! Next, I used a vertical 4X6 memory protector and added more pictures. 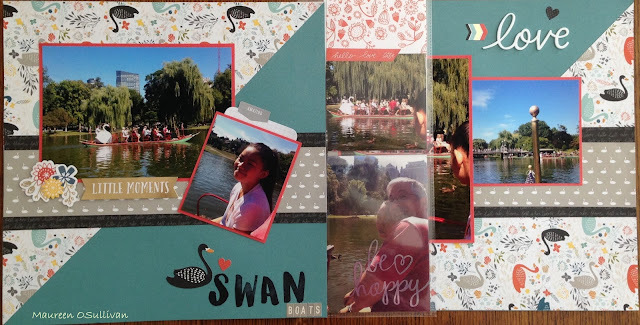 I used some overlays to embellish the pics. 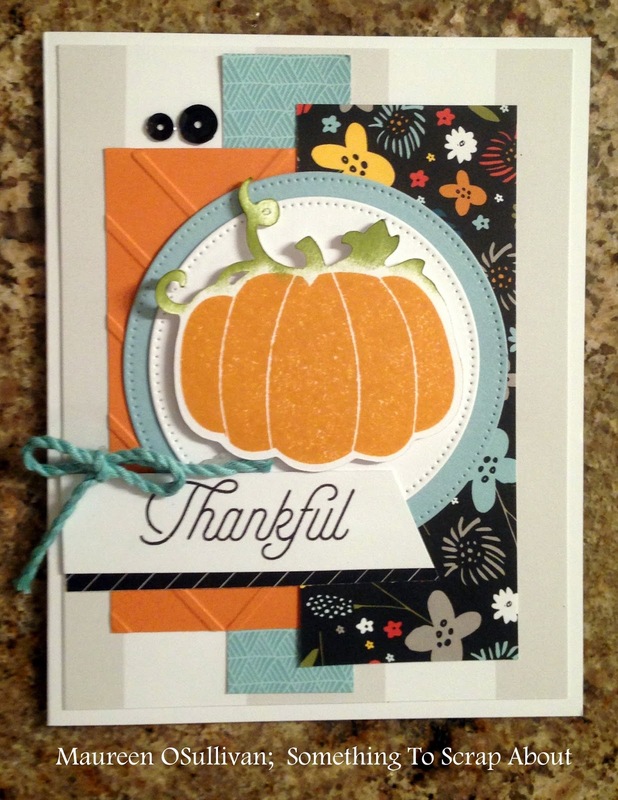 For the title I used the "Marker" alphabet stamp set on page 73 of the Annual Expressions catalog. 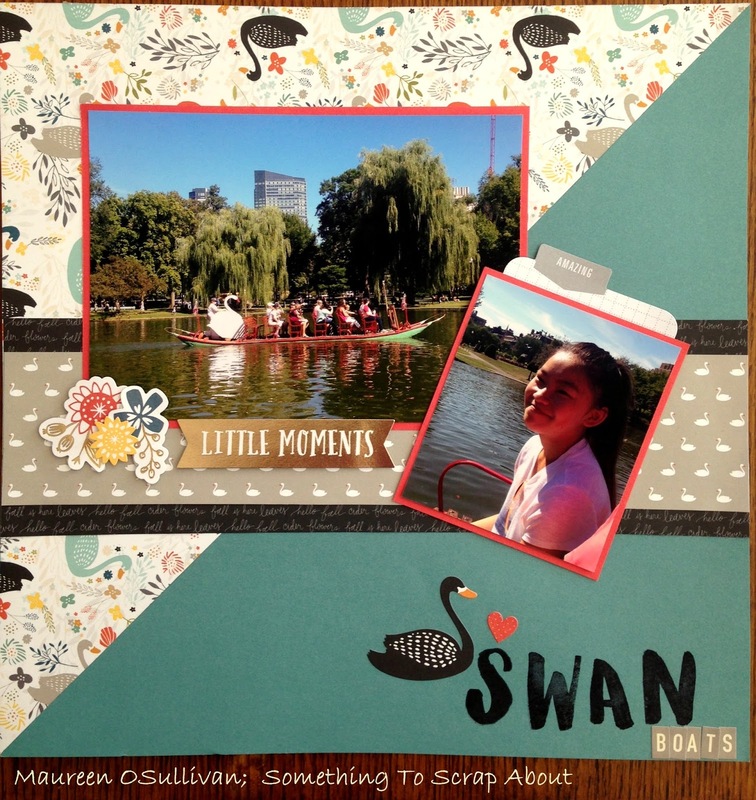 For journaling, I backed Abby's pictures with Foam Tape and slipped in a Picture My Life (PML) Tabbed Journal Card. 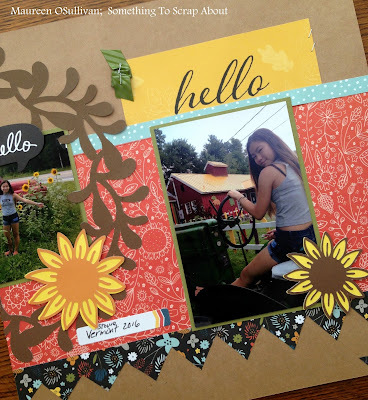 These Journal Cards are great! They can be found on page 34 of the catalog. 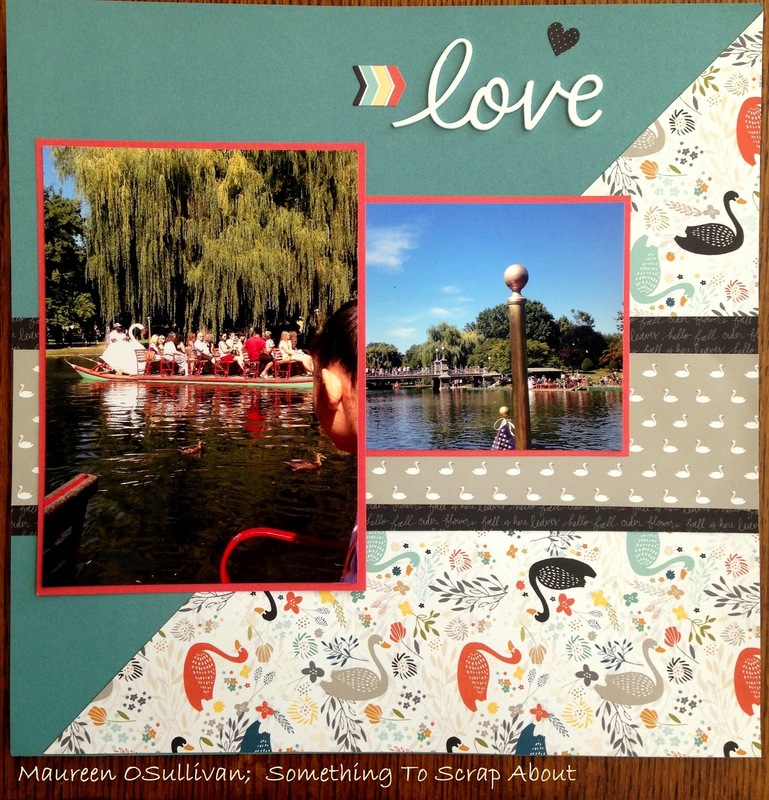 Here is the first LO I created from Swan Lake. You can see I got a totally different feel. That is what makes CTMH so unique-- the papers not only coordinate, but they are multi-functional. Thanks for stopping by. If you'd like to order some of these wonderful supplies, please visit my store or let me know. 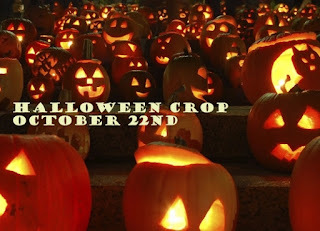 Hello, it will soon be October and you know what that means.... Halloween! I created these 2 Layouts last weekend and will be teaching them at our next crop on October 22nd in Norwell. If you can't attend the crop or don't live in the area, then the pre-cut LO's can be shipped or delivered. Please see the "Kits" tab at the top of this page. The cost of this kit is only $22. The $22 also includes one horizontal 4X6 Memory Protector. 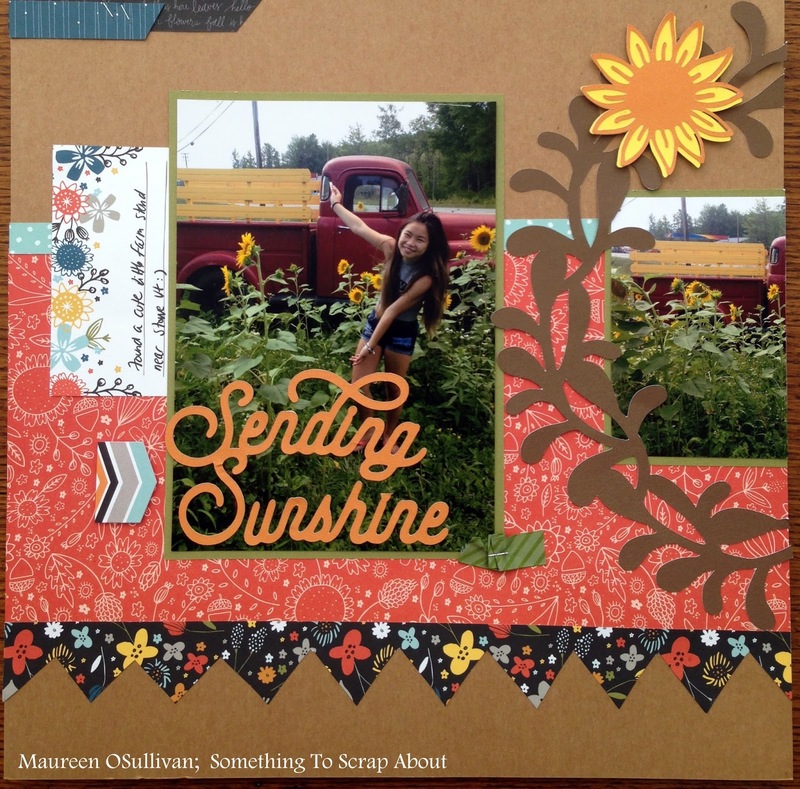 CTMH released this new product in August and I just love them. It's a great way to add even more pictures! This Memory Protector can go between either of the pages above. I plan to put in additional 4X6 pictures. 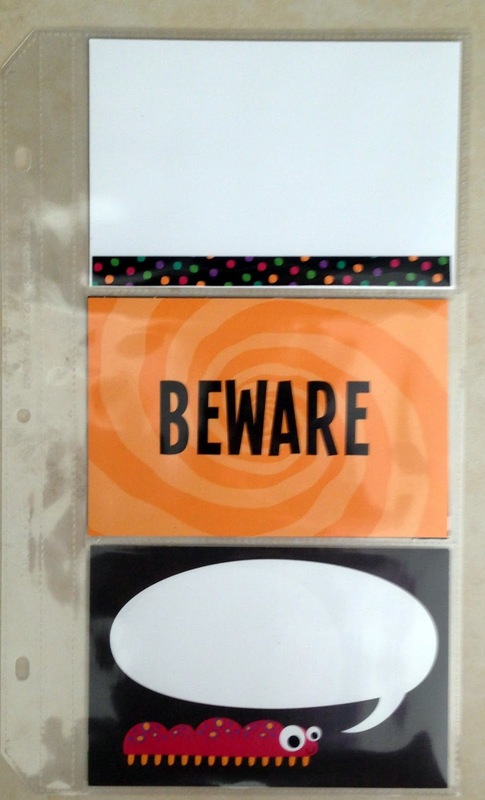 The new CTMH paper lines include these 'Project Life' like cards that can be used in the protector sheets. 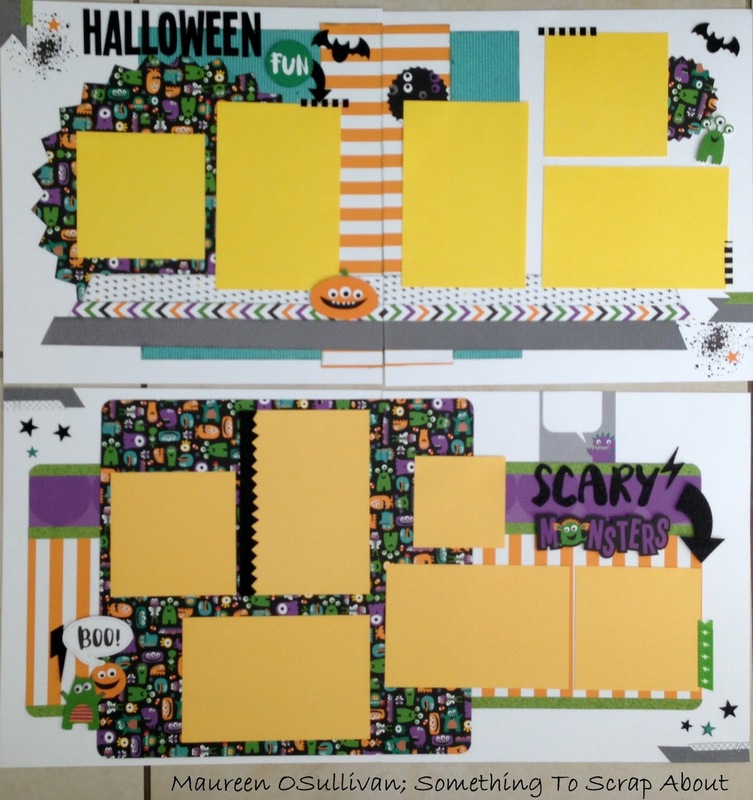 The sheets also have a 3X4 size. Please see page 12 of the Annual Catalog. 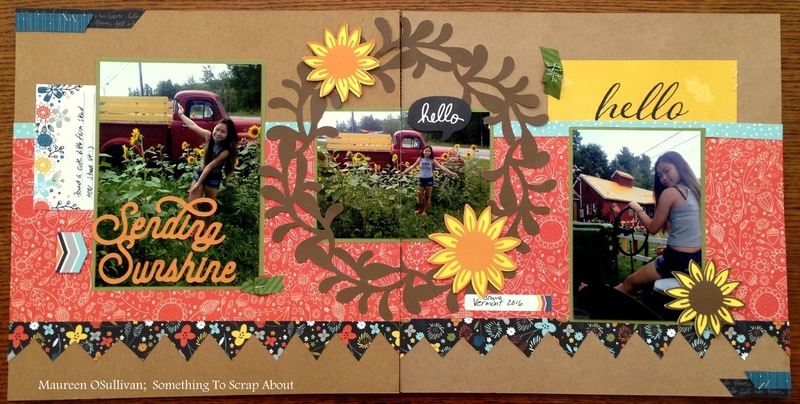 We just launched our new Holiday catalog on September 1st and it is loaded with goodies! To get ready for the holidays, here are some Halloween cards that I created from the Jeepers Creepers paper line. 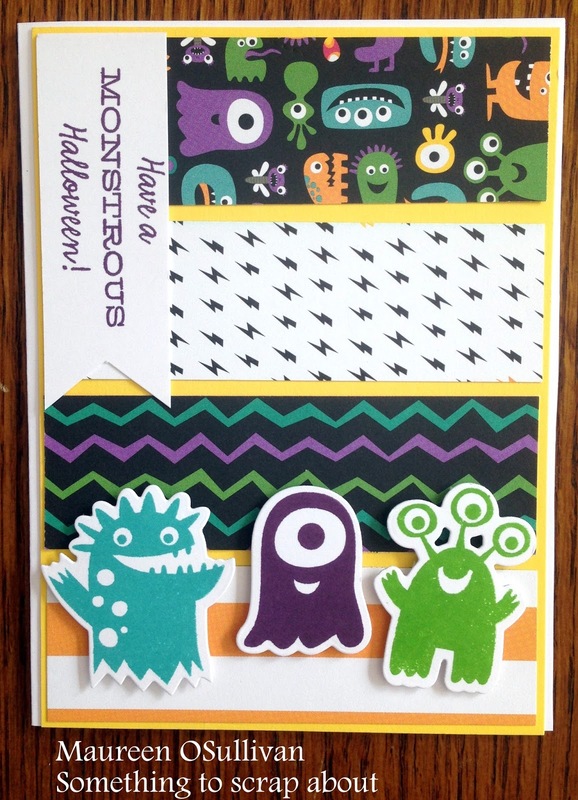 For the first card, I used "Monstrous Halloween" stamp and coordinated thin cuts. You can get both the stamp set and thin die cuts for only $26.95! Or you can buy the stamps only for $13.95. Great deal either way. 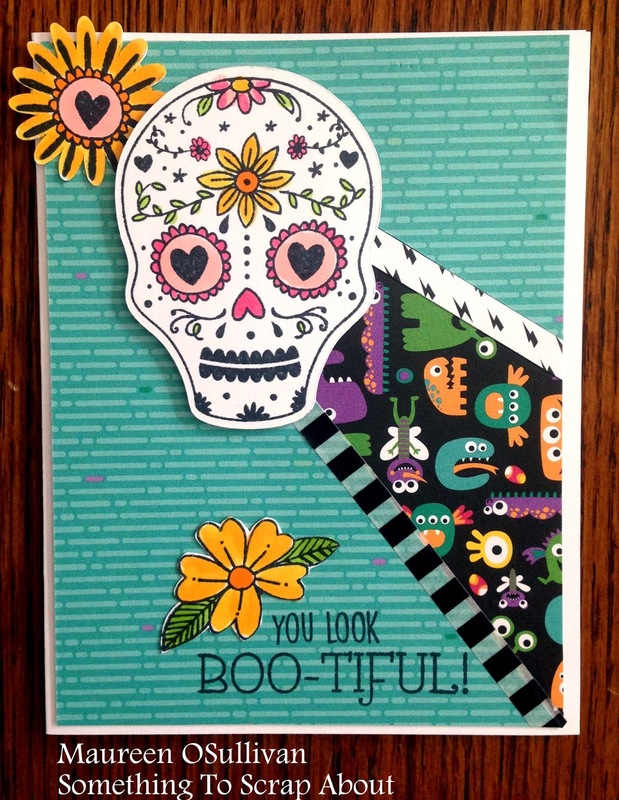 For the second card, I used the new "Sugar Skull" stamp set. 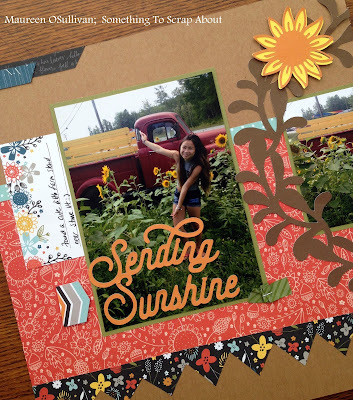 Most of these images can be cut on the Cricut using our new Flower Market Cricut Cartridge. I colored in the skull using my Copics markers. 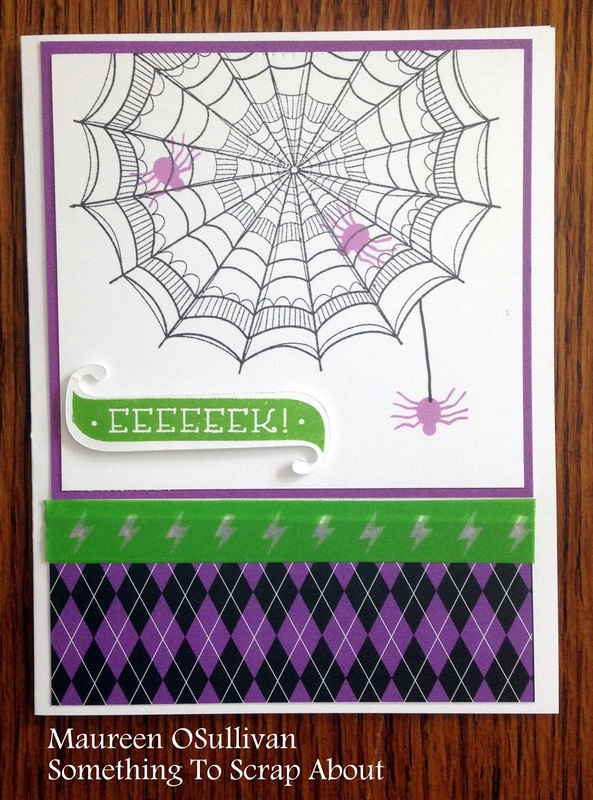 The last card was created using the "Silly Spider Web" stamp set. The sentiment was cut from the Sugar Skull stamp set. 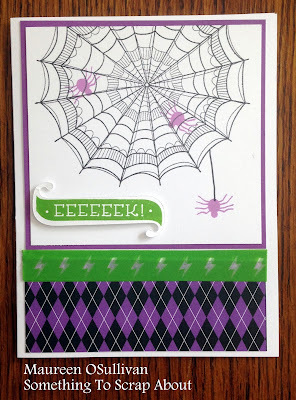 The "Silly Spider Web" set is on page 12 of the Holiday Expressions catalog. I hope you enjoyed these cute Halloween cards. I'll be teaching a class on these cards on Sept. 10th at 3 pm in Norwell Ma. If you can't attend or live out of area, please contact me for a set to be shipped to you.